According to the Employee Benefits Research Institute (EBRI), benefits packages are key factors when employees consider whether to remain at their current jobs or leave for new roles elsewhere. In today’s tight labor market, employers need to build attractive benefits packages not only to win the war for talent, but also to retain employees so they don’t get poached by competitors. In order to have a package that matches your employees’ needs, you first need a good relationship with your employee benefits broker. A preassembled, generic package won’t do. 1. How Frequently Do You Meet With Your Other Clients? If a broker is only getting in front of their clients annually at renewal season, that may be a red flag. 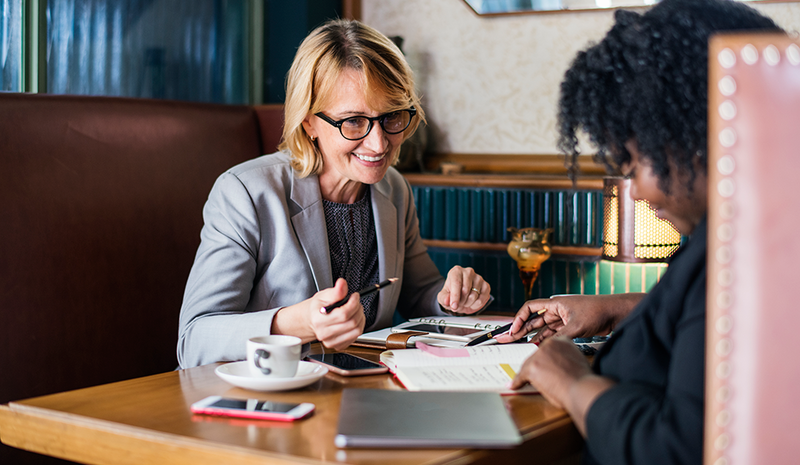 While some employers only need to see their benefits broker yearly, great relationships generally involve the broker frequently working with the employer to review the policy, answer questions, and offer updates. Benefits are not a one-size-fits-all matter. Employers and brokers should work collaboratively to design and launch benefits packages, as opposed to a relationship in which the broker simply passes down the package. An ongoing relationship with a benefits broker is also crucial to keeping up with staff’s constantly changing benefit needs and adjusting the plan accordingly. 2. How Have You Helped New Clients Educate Their Employees on Their Benefits Options? Informing employees about their benefit options isn’t solely the responsibility of human resources. Brokers can offer resources like newsletters, webinars, and on-site Q&As to help employees better understand their benefits options. It’s especially important for employees to be educated on their plan options to improve participation rates. 3. What Is the Most Critical Benefits-Related Challenge You’ve Faced, and How Did Your Team Resolve It? A lot of benefits are designed, in part, with the intent to protect employees when the unexpected occurs. When an employee falls critically ill or has a severe accident, benefits are in place to help them — but once employees need them, it’s important that benefits are executed easily and properly. A broker can handle this by being the middleman between doctors, plan sponsors, and employees. Ask a potential broker to explain an experience they’ve had dealing with such a matter, and use their response as an indication of how they will treat your employees in a time of need. 4. Who Will Be My Main Point of Contact at Your Firm, and How Many Clients Do They Have? A benefits broker, just like any other vendor, is an extension of your team. Make sure you can effectively communicate with them to best work together to achieve your goals in offering benefits. Seek out a broker that has a manageable amount of clients. The amount of accounts they service will help indicate the level of attention you’ll receive. 5. Can You Send Me Your References? Once you have a broker’s references, ask them the questions outlined above. Their answers should align with the brokers’. If not, that could be a red flag. Consider the types of clients the broker services. How do these business compare with yours? It may be of value to partner with a broker that works with firms with similar employee demographics as your company or in a similar industry. A benefits broker is like a business partner, and having a good relationship with a broker is important. In order to recruit top talent, employers need top benefits plans, and that starts with developing a good relationship with a top benefits broker. Bill Gimbel is the president of LaSalle Benefits. Bill Gimbel is the president of LaSalle Benefits, a technology-enabled corporate benefits firm. Bill has been in the employee benefits and insurance space for more than 25 years, having worked with companies in virtually every industry, as well as people in the C-suite, human resources, and finance. Bill and his team work with companies across America to implement the best benefits packages based on the needs of their employees.